The 'Veronica Mars' movie has raised over $3.6 million on Kickstarter. 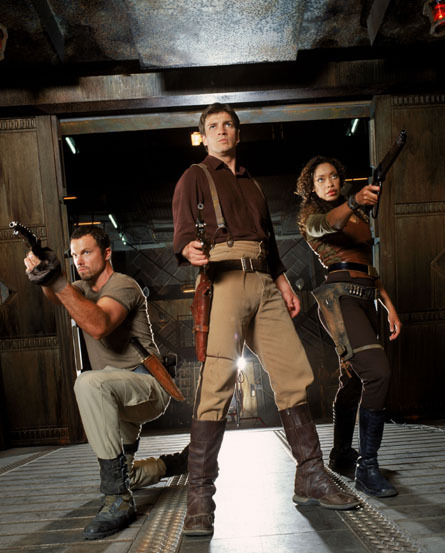 Will Joss Whedon's 'Firefly' be the next prematurely cancelled TV series to get a lift from Kickstarter? The Internet rejoiced last week when the "The Veronica Mars Movie Project," helmed by the original series creator Rob Thomas and enthusiastically supported by star Kristen Bell, broke a slew of records for the fundraising site Kickstarter. After just 12 hours in existence, the project became the fastest Kickstarter to reach both $1 million and $2 million, as well as the highest goal to be met in the site&apos;s five year history. Fans of the Veronica Mars TV show (a snappy teen detective noir that premiered on UPN in 2004 and became an instant cult classic even before its cancellation in 2007) petitioned Warner Bros for years to produce a film adaptation, but the studio wouldn&apos;t budge. Will those same big shot studio heads change their minds now that the undeniable power of crowdfunding as come into play? At the moment, all signs point to yes. While the general reaction to Veronica Mars "winning Kickstarter" has been positive, naysayers have been quick to point out that the site&apos;s inevitable downslide (a.k.a. studio takeover) is getting a big push from this project. Does an established show runner, backed by one of the most lucrative film studios in the country, really need donations from strangers to raise $2 million? Clearly, Thomas was trying to make a point about fans supporting the idea (see, just because the show got cancelled due to low ratings doesn&apos;t mean that my loyal fan base won&apos;t show up in theaters!) However, those who equate watching the numbers rise on the Mars Kickstarter to "the world changing" should take a step back and reevaluate themselves (I saw that tweet, Amanda Palmer). Suddenly, the conversation has shifted from "Kickstarter is changing the way movies are made" to "Kickstarter is ruining art for the real artists!" Take for example, the hubbub over this documentary project that Gawker posted under the headline "Guy Raises $7,000 on Kickstarter to Fund Insufferable Bonding Trip With Each of His Facebook Friends." Yep, Connecticut photographer Ty Morin wants you to give him money so that he can travel all over the country and take pictures of his friends. His video looks nice, but seriously? I believe in supporting the arts (I have a "worthless" film degree, after all), but in this situation, my money would go to charity that actually needs it over some random dude asking for a paid vacation. Unfortunately, Kickstarter is filled with projects that ask for large sums of money but offer very little in return. The site has dealt with quite a few scams over the years, including a man selling $15 watches for $100, disguising them as high-end pieces and raising over $9,000 before the plug was pulled (the project is currently suspended and pending an internal investigation). Legal issues aside, one could also argue that a documentarian who promises a good film about kayaking and proceeds to make something really boring has essentially scammed the benefactors into financing his kayaking trip. Perhaps patrons should be willing to shoulder at least some of the blame for how they&apos;ve chosen to give their money away, but nobody likes to feel like they&apos;ve been tricked into supporting an artistic endeavor that, in the end, doesn&apos;t ring true. So, has The Veronica Mars Movie Project effectively shaken off the "Kickstarter fatigue" of dashed dreams and broken promises? Looks like it. If the film does get made as a result of this campaign, then Kickstarter will become a mecca for other fan-favorite shows (Gilmore Girls, Freaks and Geeks, My So-Called Life, etc.) to get the cinematic treatment as well. Buzzfeed.com already approached legendary show runner Joss Whedon to ask if he&apos;s planning a Kickstarter campaign for Firefly, the sci-fi television drama that garnered a huge cult following despite getting cancelled in 2002 after only eleven episodes. Whedon was a big fan of Veronica Mars when the show was on the air, and continues to support Thomas in his new endeavor: "I thought it was an awesome and ballsy move...It feels like a real game-changer. Like, not since Louis C.K. [selling his comedy directly online.]" "Couple years from now, when Nathan [Fillon]&apos;s no longer on Castle and I&apos;m no longer the Tom Hagen of the Marvel Universe and making a giant movie, we might look and see where the market is then," Whedon said. "But right now, it&apos;s a complete non-Kickstarter for me." 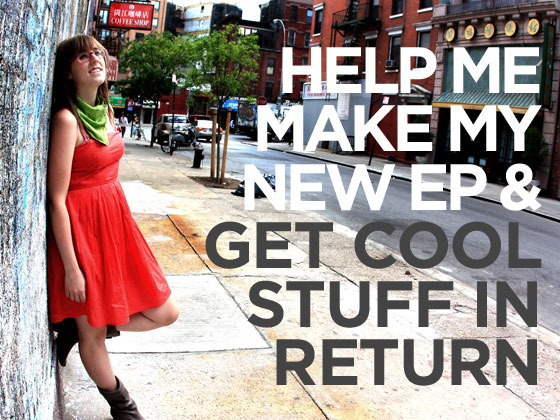 What are your thoughts on the Kickstarter phenomenon? Leave a comment below, let me know via Twitter @leahkpickett or join the conversation on Facebook.